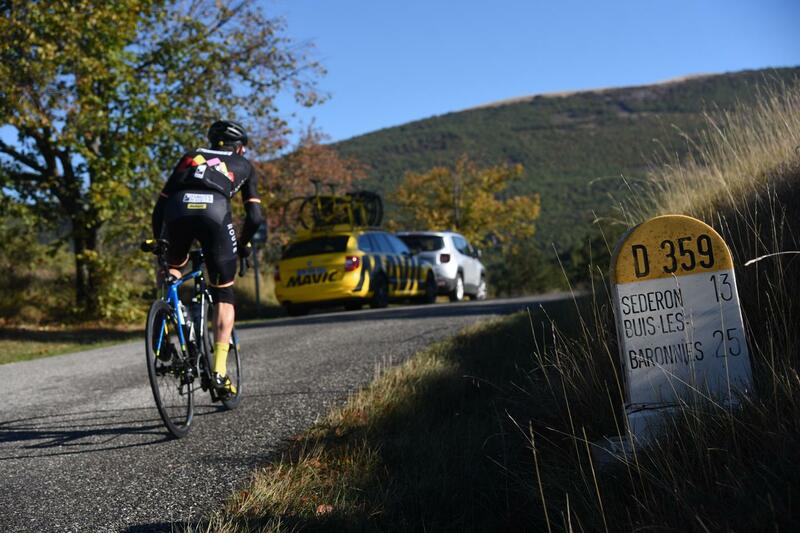 Ride Mont Ventoux three times? How hard can it be? Well, Barry and I will be able to tell you next month; we've signed up to ride the inaugural Haute Route Ventoux on 6-8th October. 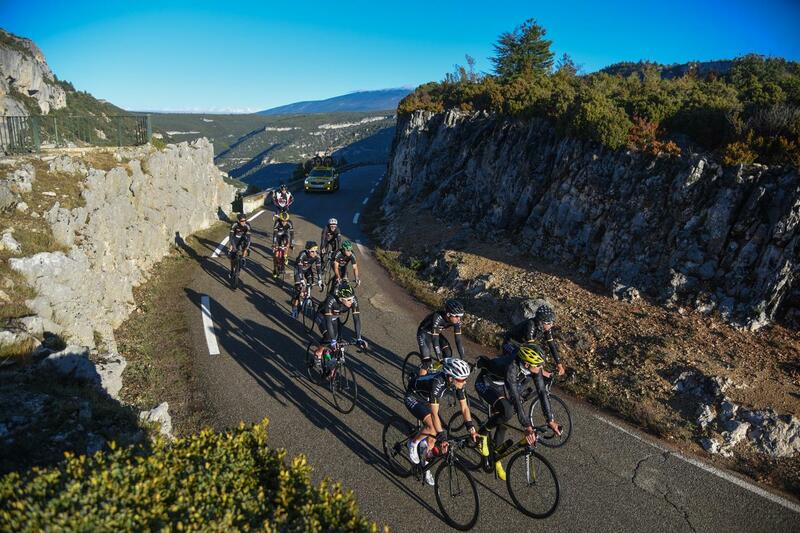 Mont Ventoux is one of the biggest and most iconic climbs of them all and the new event from Haute Route will challenge us to ride it three times in a new three-day event. The first two days will cover 107km and 141km respectively, culminating with a testing 22km time trial to its summit on the final day. Each day will finish with an ascent of the mountain but we won't be taking the same road up because rather uniquely there are three ways to the summit. From Sault it's a quick, relatively speaking, rolling ascent, from Maulaucène it's a wide open climb while the toughest way up from is from Bédoin, which is just plain steep all the way. Hopefully, it won't just be three days of suffering, but three days of adventure, discovery and excitement, as Nicolas Roux, who took part in the test event, tells us. "It's going to be three days of discovery and excitement," he says. "Each stage is different, and fantastic in its own way. Participants will ride through quaint French villages, beautiful gorges and some stunning orchards and farmlands. 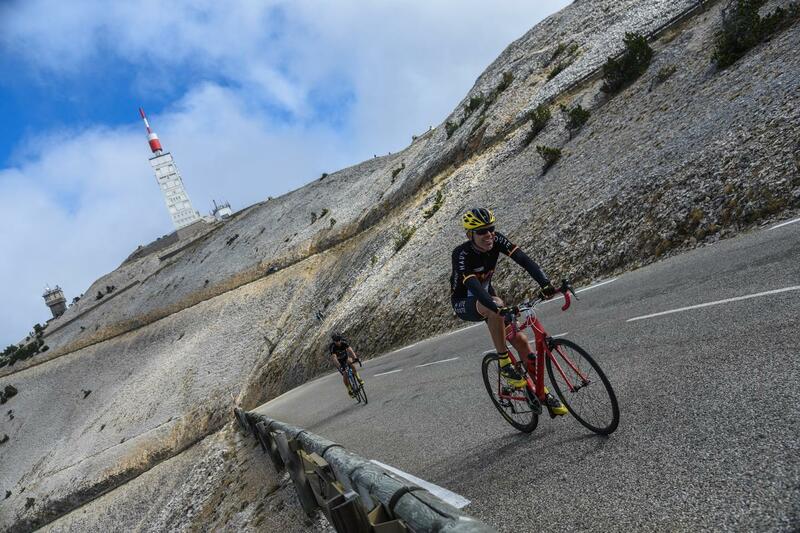 Finishing atop the Ventoux each day is the perfect cherry on top of the cake." Let's hope he's right! But perhaps recognising the needs of time-strapped cyclists who might struggle to arrange a week off to ride their bike, a three-day format - essentially a long weekend - based out of the same hotel (which makes transfers and logistics far easier) sounds like a very good idea. 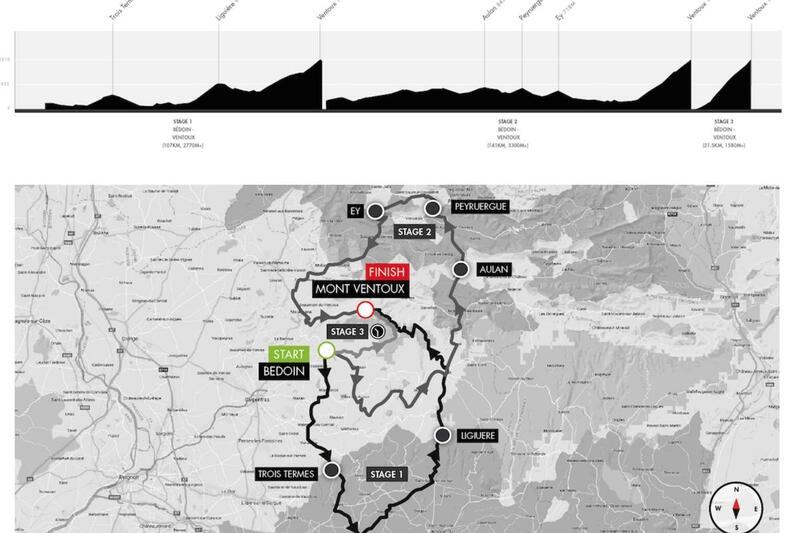 And a good introduction to the main Haute Route events as well. Next Time: We'll take a look at the bikes that Barry and I will be riding in this event because naturally, it's a great opportunity to put some new equipment through its paces. Join us on the 15th of June for an evening with Felix Lowe and our friends Haute Route at Bespoke Cycling.